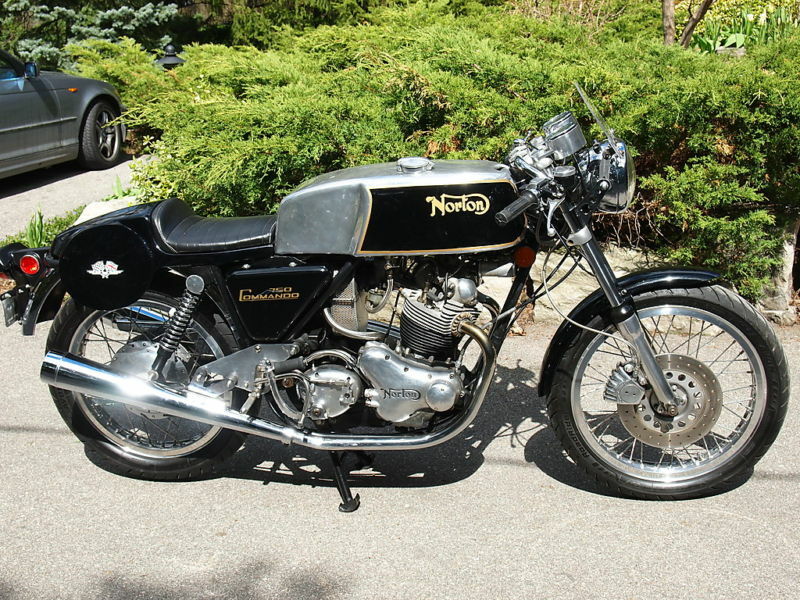 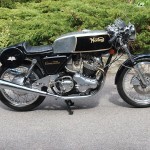 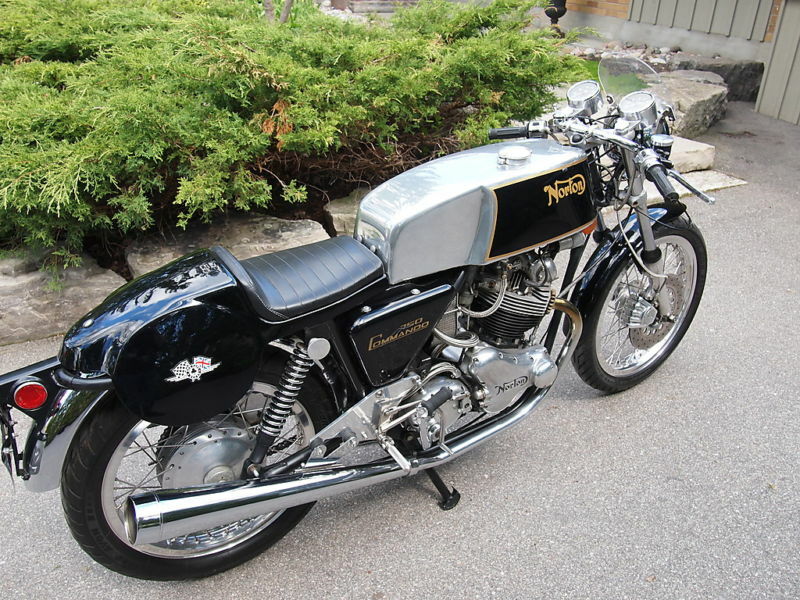 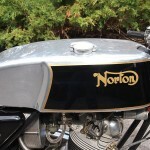 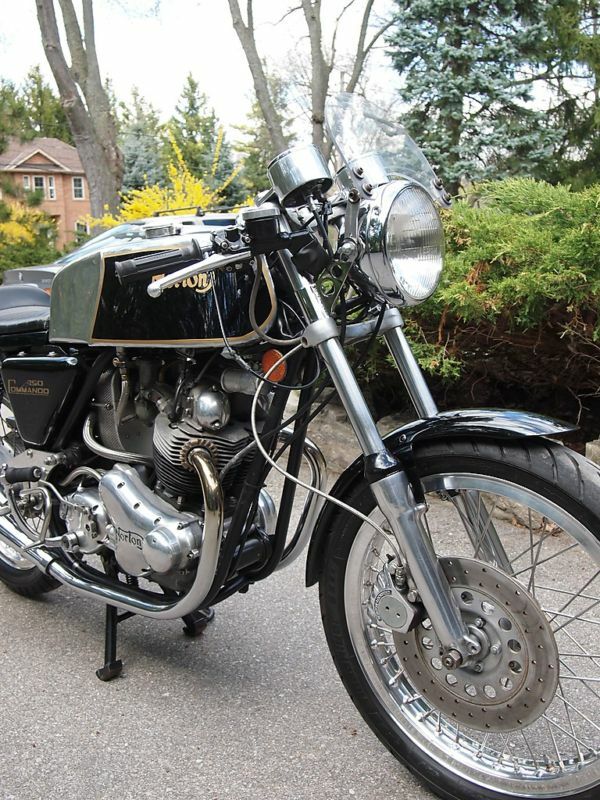 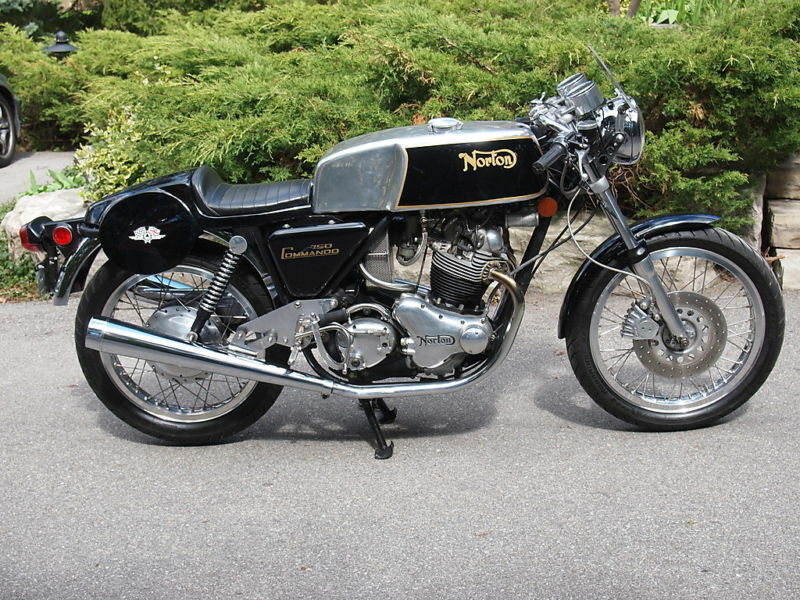 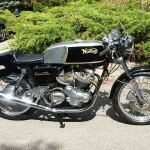 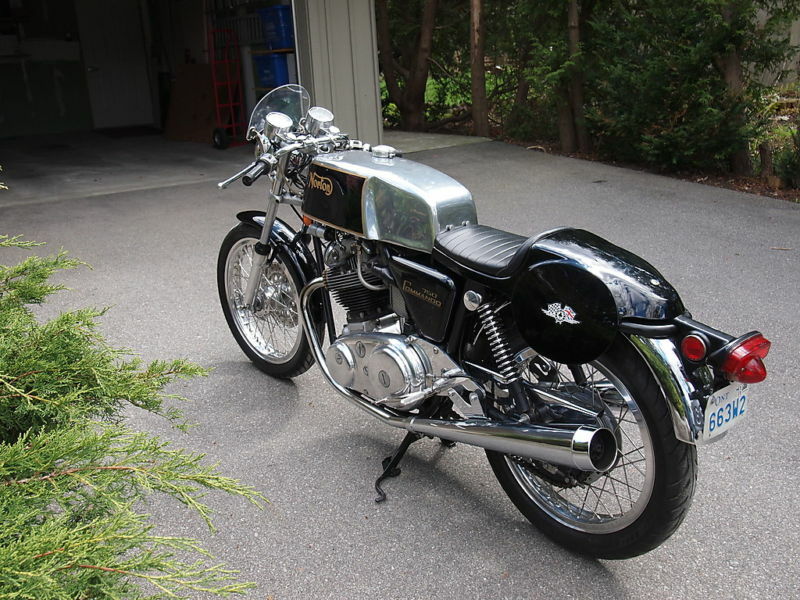 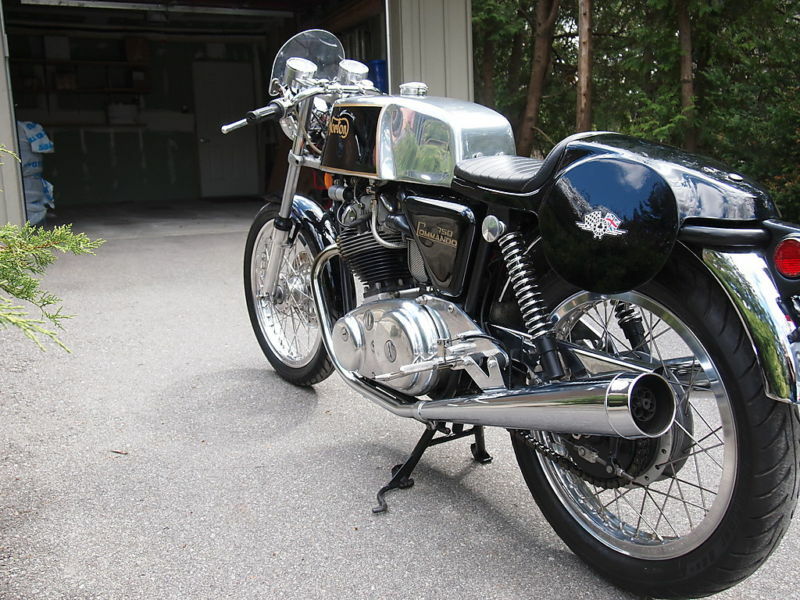 Before I read the description of this 1972 Norton Commando offered here on eBay I thought to myself that this is a newer build. 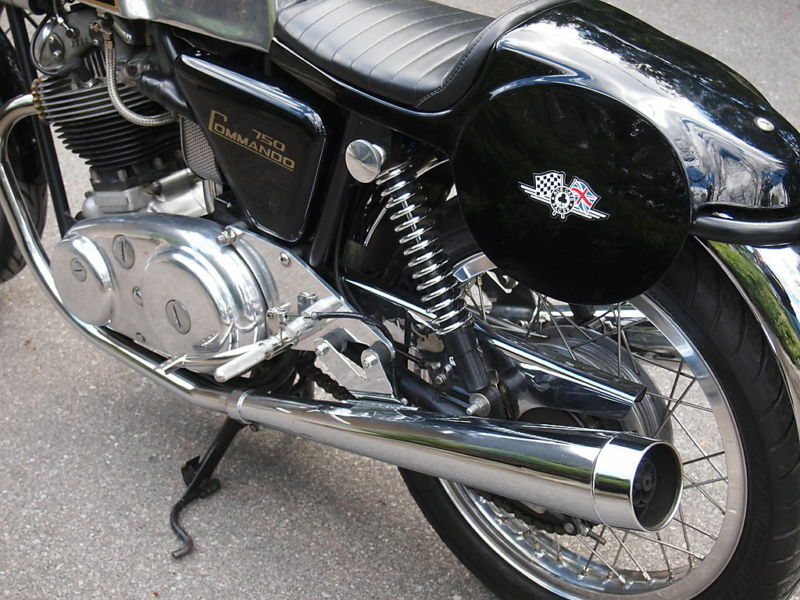 I cant tell you specifically what it was, but the choices that builders make when restoring a Classic Sports bike today is different from what a restorer would have done 10 or 15 years ago. 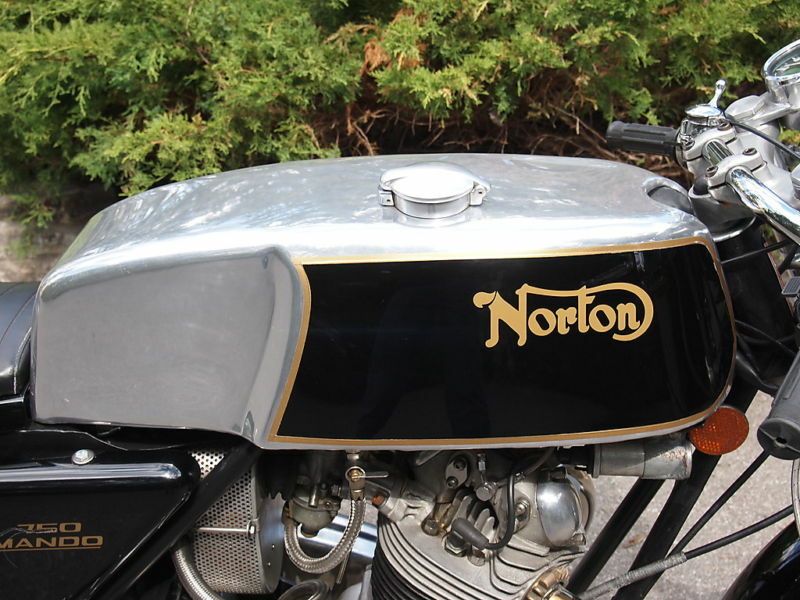 All the same parts were available to each restorer, but how they put it together shows in the finished product. 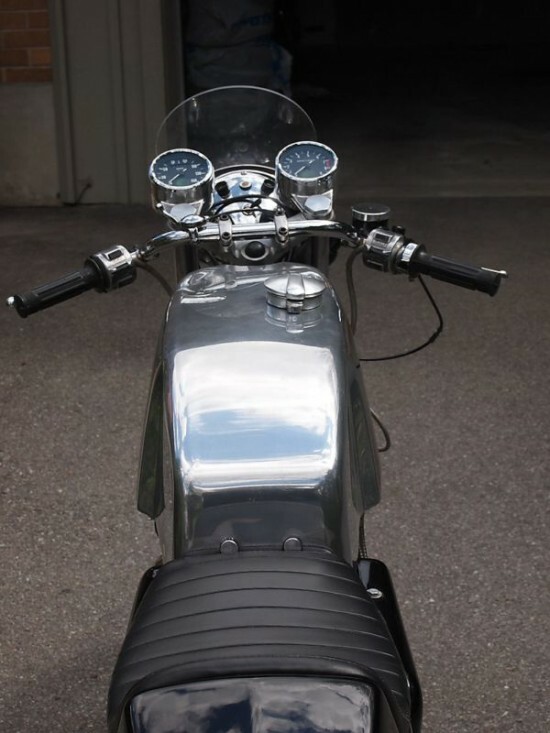 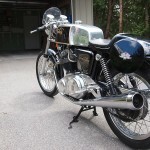 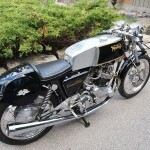 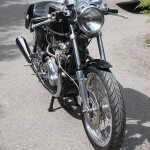 The restoration was completed in 2008/09 and is correct to all specifications with the exception of the alloy tank, alloy wheels and stainless spokes and stainless rear mudguard, plus braided stainless brake lines. 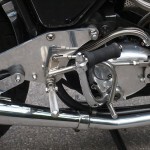 There are many new, better-than-original-quality parts. 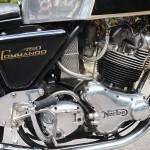 It has always been hard for me to keep all the different Commandos straight. 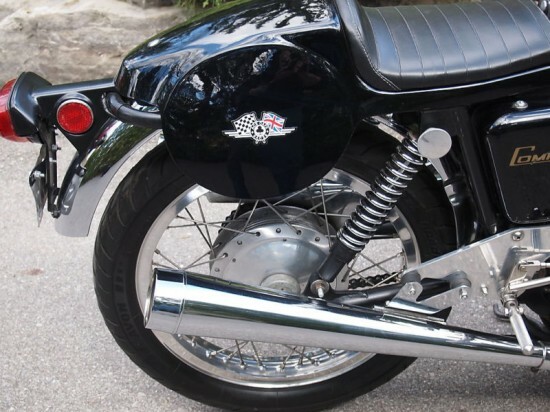 With names like the Interstate, High-Rider, Fastback, it often doesn’t matter for all the similarities between them (excluding the full fairing JPS). 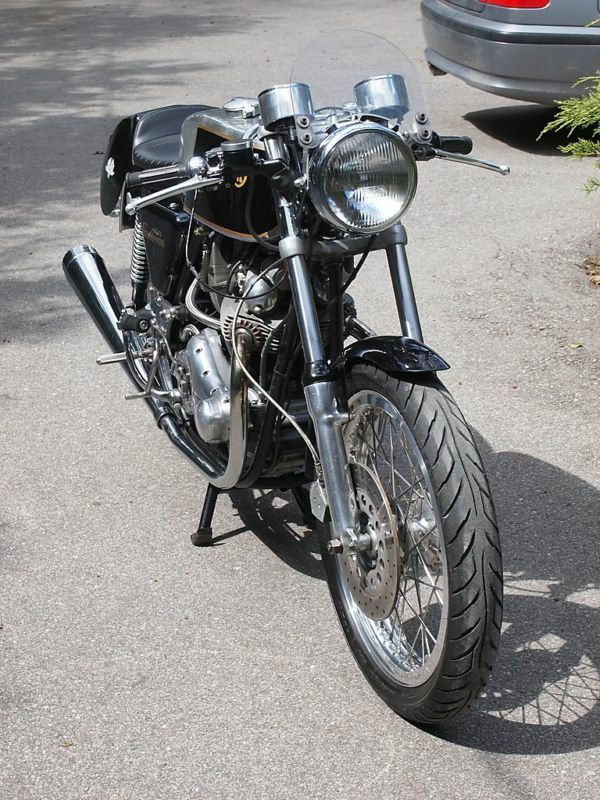 It does appear though the hot ticket at the time was the Combat engine. 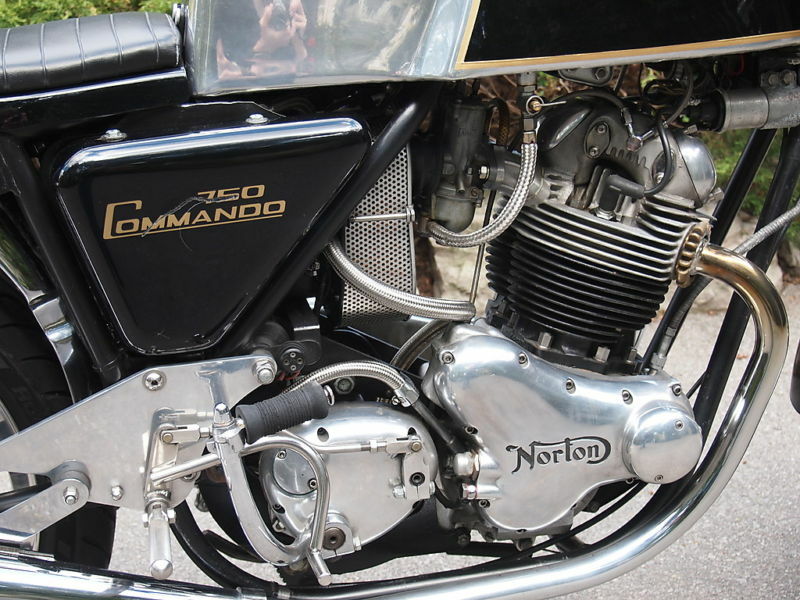 The original Commando was to get a new design, but it didn’t make it to production. 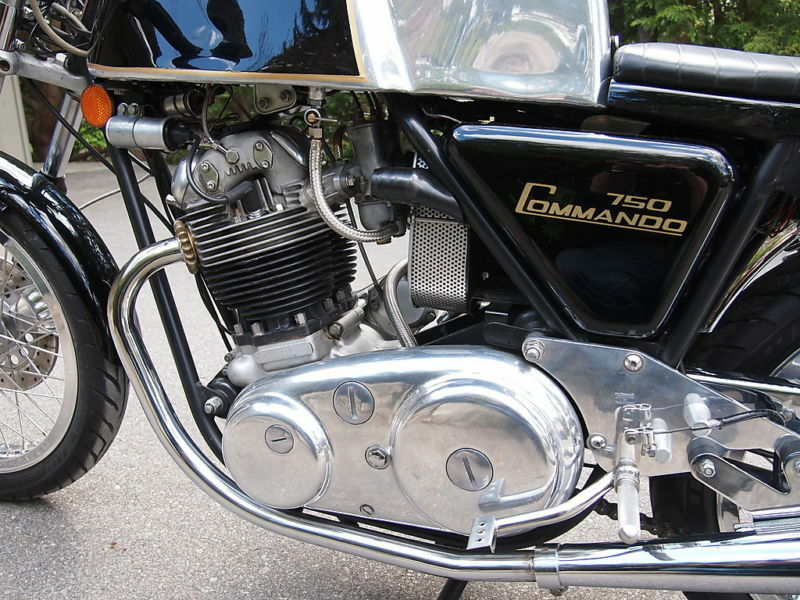 Instead the Atlas engine was redesigned to tilt the cylinder forward, and the “new” Commando went into production. 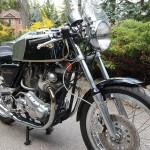 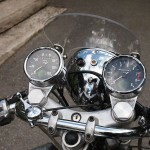 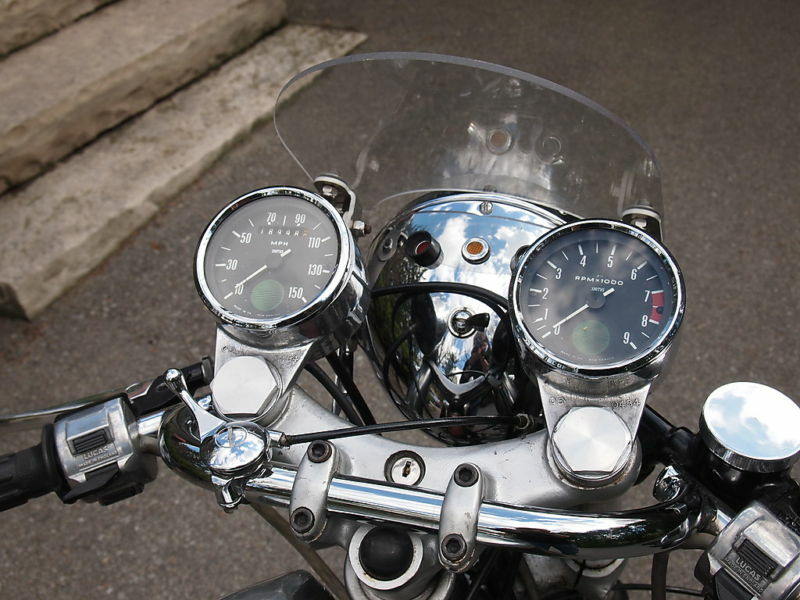 The Combat engine was an improvement with 65hp given at 6500rpm generated by increasing compression, and carb, and giving it a higher lift cam. 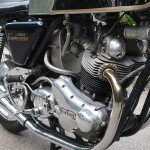 As any engine builder will tell you, if you don’t get it right, bad things can happen. 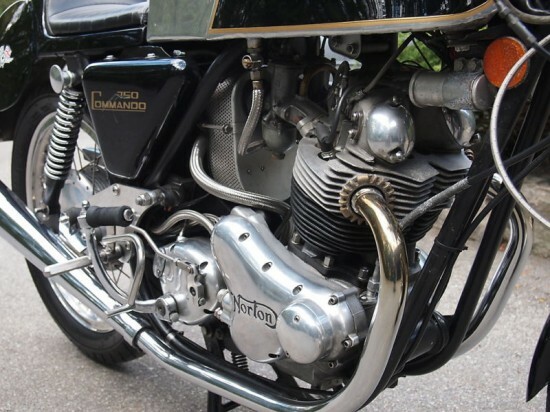 Bearing failings and piston meeting valves in an inappropriate matter appeared to be common. 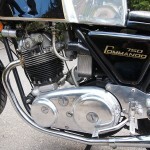 By 1973 these problems were worked out, and most of the Combat upgrades were later included in all Commando engines. 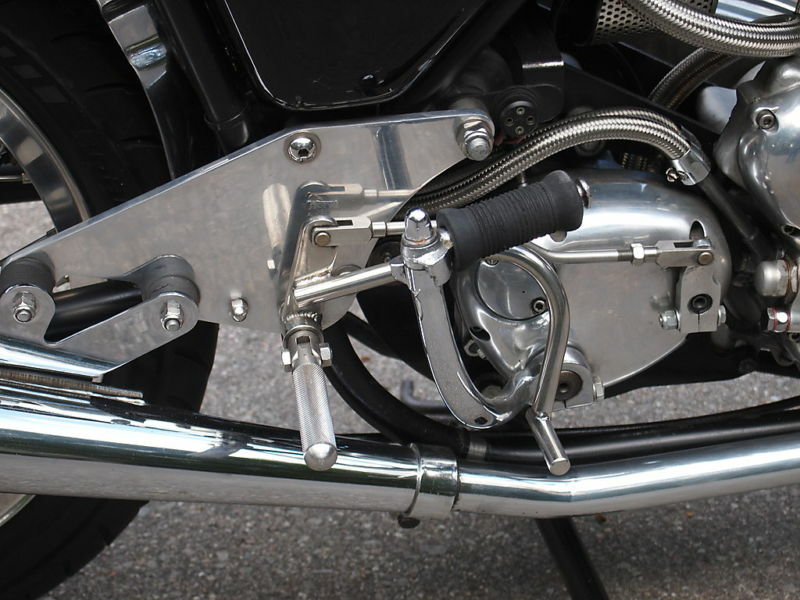 It’s a standard Combat (72 only model) with an alloy Production Racer tank (from Bartel), Production Racer seat and Norvil rearsets. 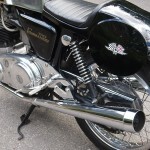 Don’t forget the Dunstall Decibel mufflers. 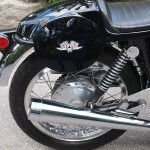 And ace-style bars. The front disk has been ground and drilled, most likely by Old Britts or DBR. 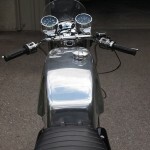 My bike is currently almost the same, with very similar parts. 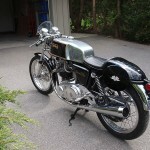 This winter I’ll finish making mine a Production Racer replica with clip-ons and the fairing.